▶ Here is the latest version of your favourite street sport bike! It comes loaded with many world-class features to make your rides superbly exciting such as Bharat Stage IV (BS-IV) compliance Automatic Headlamp On (AHO) clear LED tail lamp and sporty new graphics with the Gixxer logo across the fuel tank! Added to that the advanced Rear Disc-Brake promises a really fabulous more stable and more confident riding experience on every road. ▶ Flaunt your unmatched style with its fascinating new colour combinations - Pearl Mira Red & Glass Sparkle Black Metallic Triton Blue & Glass Sparkle Black and Glass Sparkle Black These three cool shades will surely add more thrill and joy to your street sport biking experience. ▶ You'd also love this stylish dual-tone performer for its amazingly powerful and ultra-light 155cc engine with Suzuki's Eco Performance (SEP) technology a wide array of cutting-edge features and a powerful chassis developed by the engineers who designed the legendary GSX-R series. 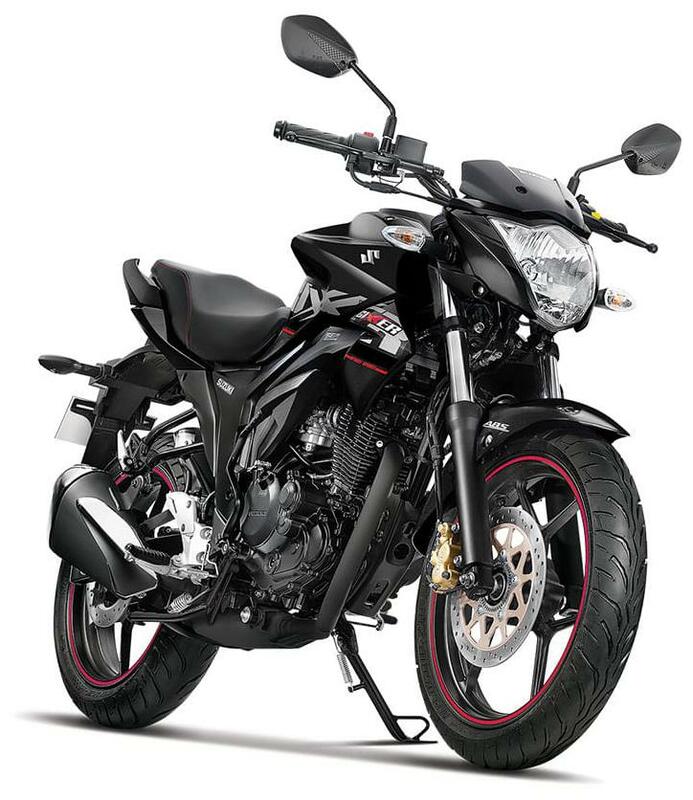 ▶ It promises a distinct biking experience with its sharp torque and dynamic mid-range power that ensure better acceleration and sporty handling. ▶ So why wait? Make a brand-new style statement with India's most admired street sport bike.